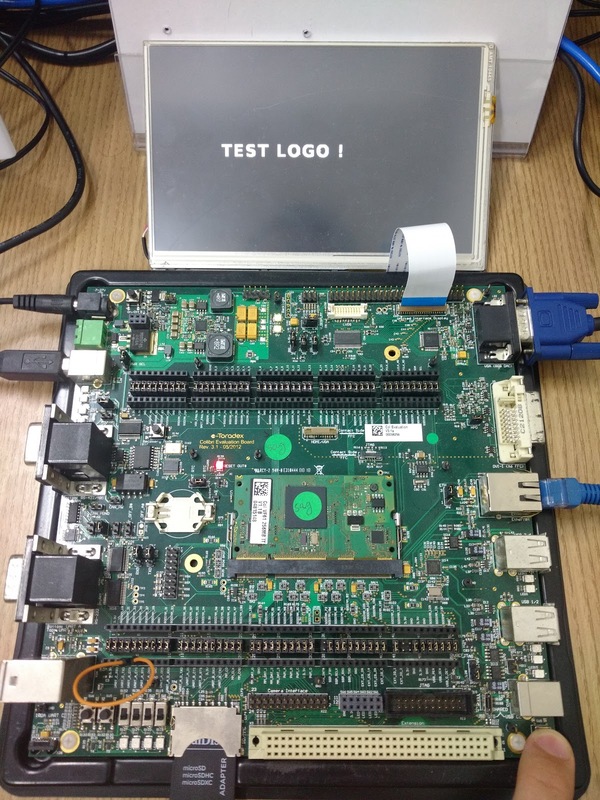 If U-Boot supports the framebuffer, U-Boot can be used to display a splash screen or a custom company logo. Write some text or your company's name. U-Boot can read a specific image format. Use the following command to convert the PNG image to BPM. To get the source code, toolchain and the instructions how to build a custom U-boot, follow the U-Boot source article. Toradex has its own logo set in the U-boot source. The logo can be found at "u-boot-toradex/tools/logos/toradex.bmp". A simple option to have a custom logo is replacing toradex.bmp file. It is necessary to keep the same “toradex.bmp” file name for the build system finds the logo. Compile the U-boot according to the article quoted above. It is also possible to load custom images at runtime. The image can be read into memory from a variety of sources. To show how U-Boot can be easily customized, we created a simple practical example where U-Boot changes the U-Boot splash screen when the module starts to update. 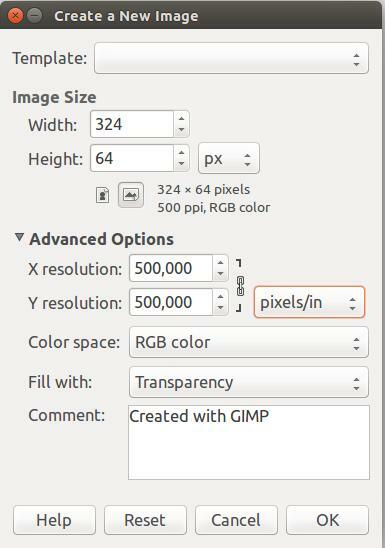 Create a PNG image in GIMP and convert to BMP as explained above. Store the image into a USB flash drive, SD Card or TFTP server, in our case, the BMP file was stored on a TFTP server. Create a environment variable that loads the image, display it and starts to update. As soon as ‘run update_logo’ is given, the image is first displayed and then the update process goes on. The result is shown in the following video.